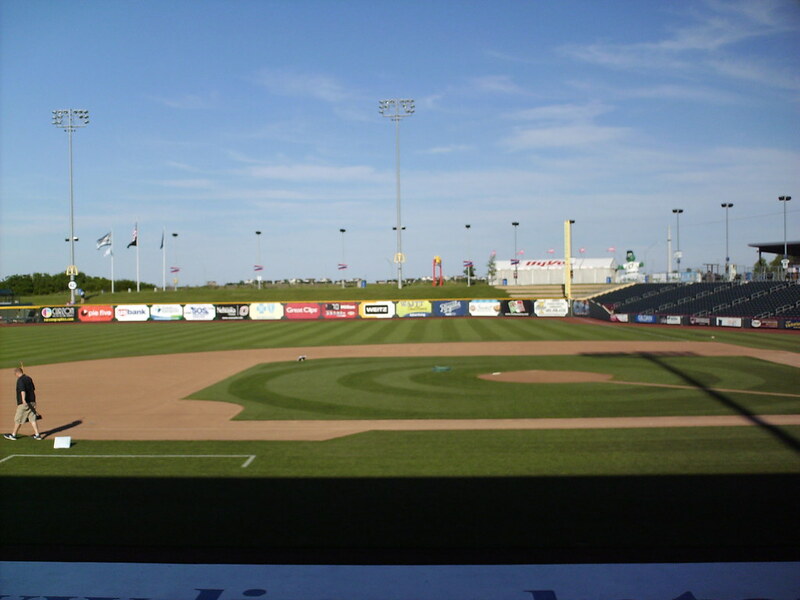 The view from behind home plate at Werner Park. 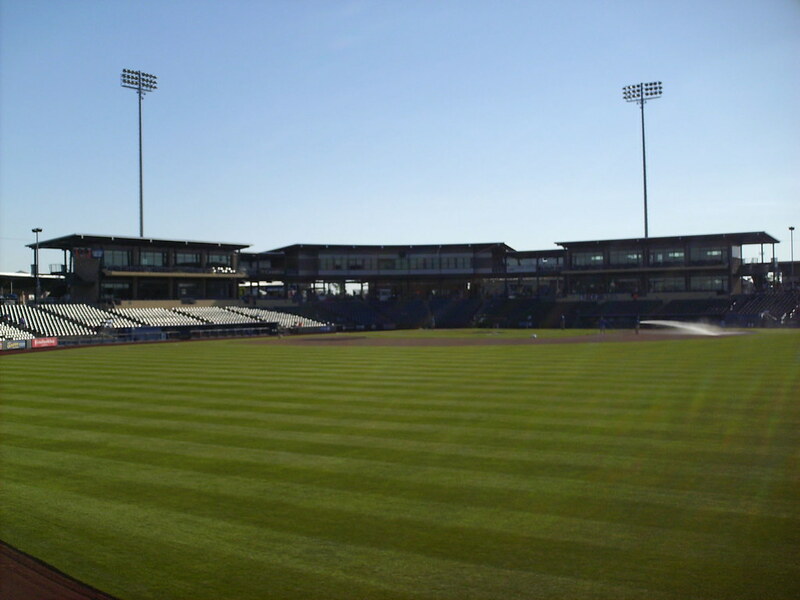 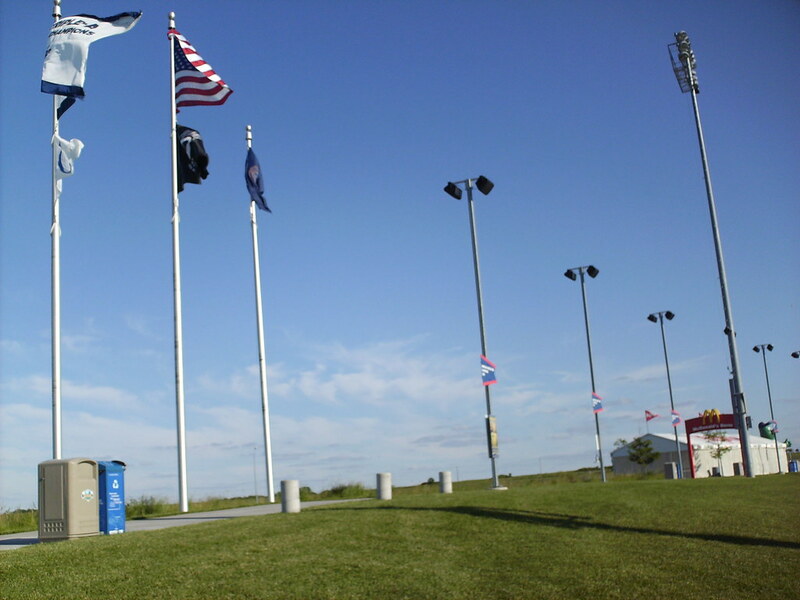 The grandstand at Werner Park, as seen from center field. 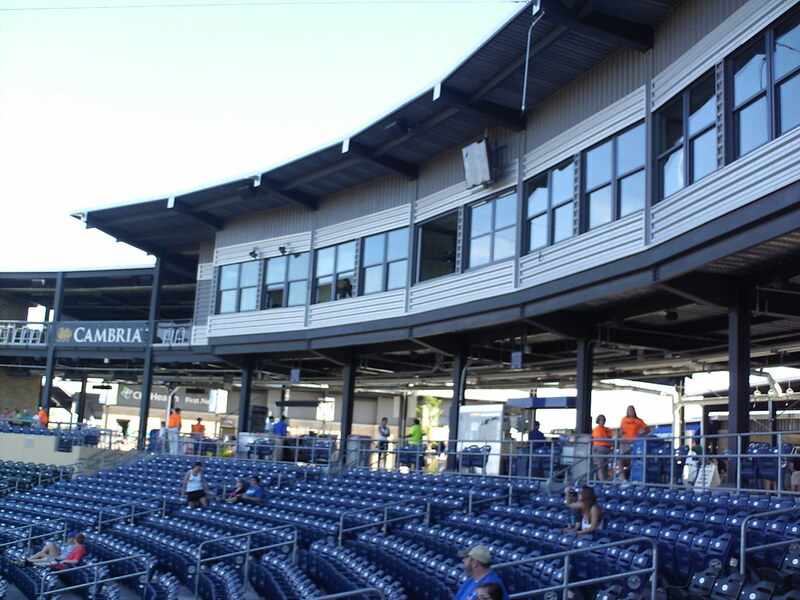 The pressbox behind home plate, with covered party decks on each side. 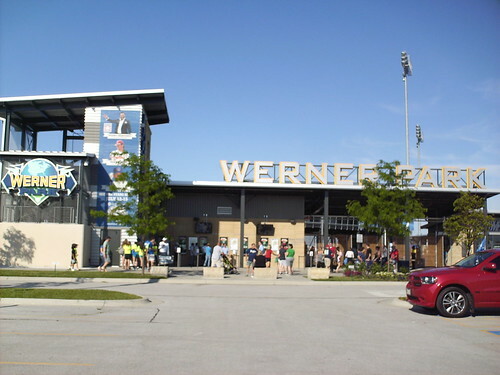 Rather than running solely along the upper deck, the luxury suites at Werner Park are located in separate two story buildings behind each dugout. 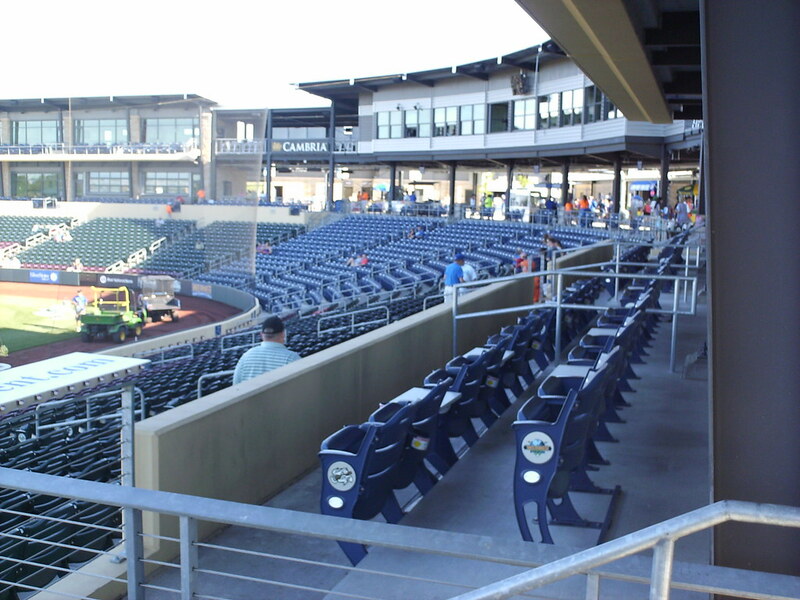 The unique setup of the luxury boxes means some suites are located at concourse level at the top of the main seating bowl. 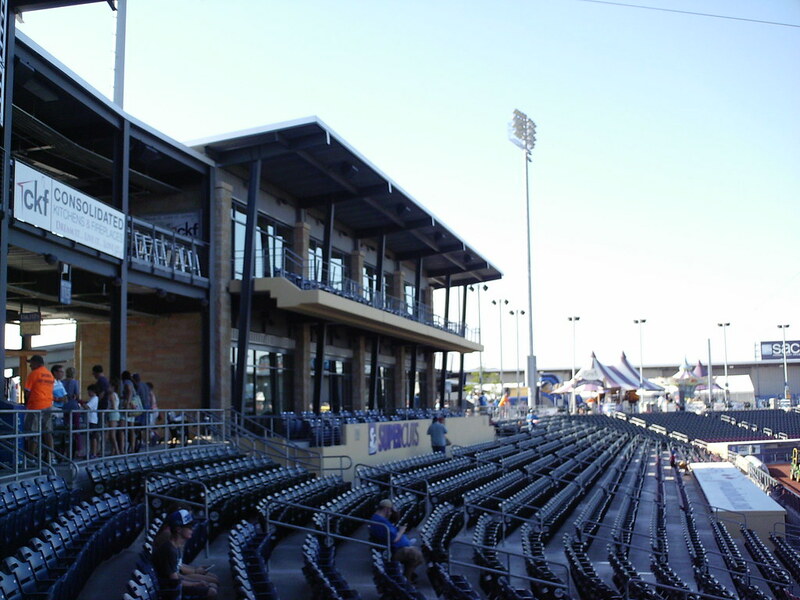 A "dugout suite" down the third base line lets fans watch the game from the same perspective as the players. 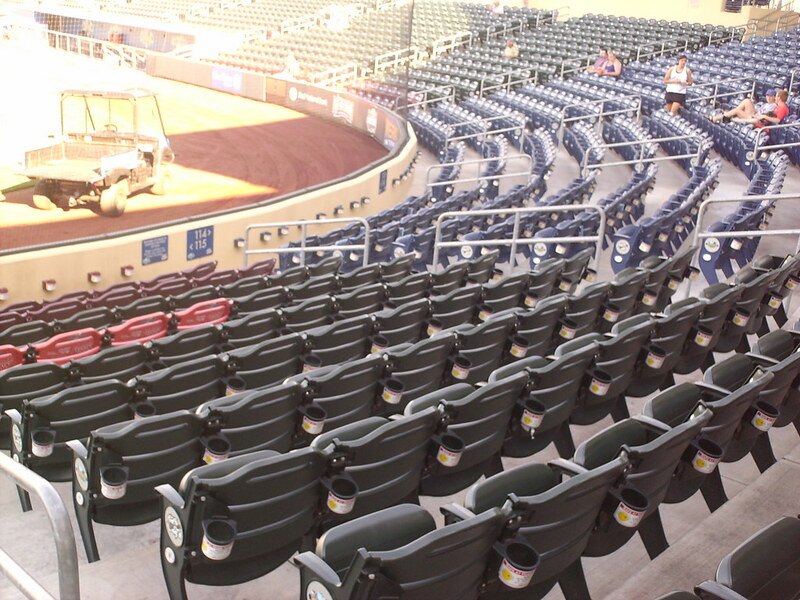 Multi-colored seating behind home plate is reminiscent of the team's former home of Rosenblatt Stadium in Omaha. 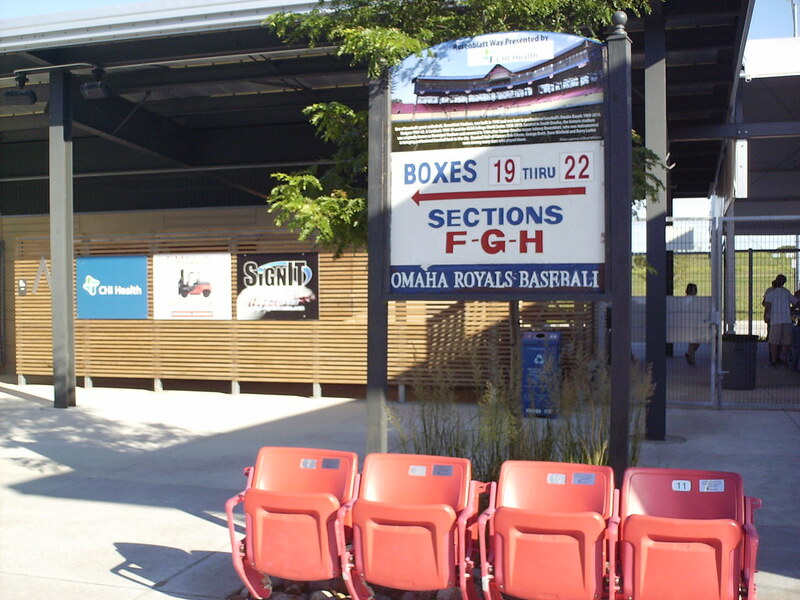 Seats and signage from Rosenblatt Stadium sit on the concourse at Werner Park. 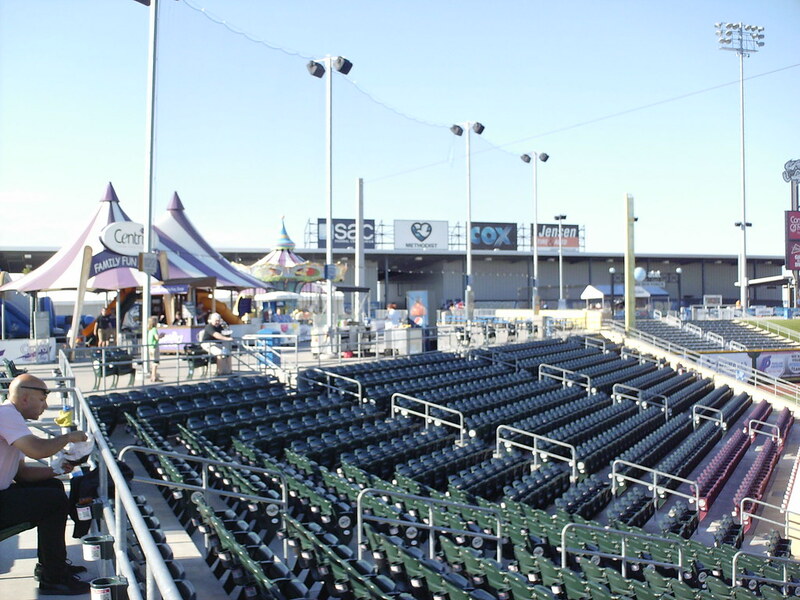 The "Home Run Porch" bleacher seating section in the left field corner of the field. 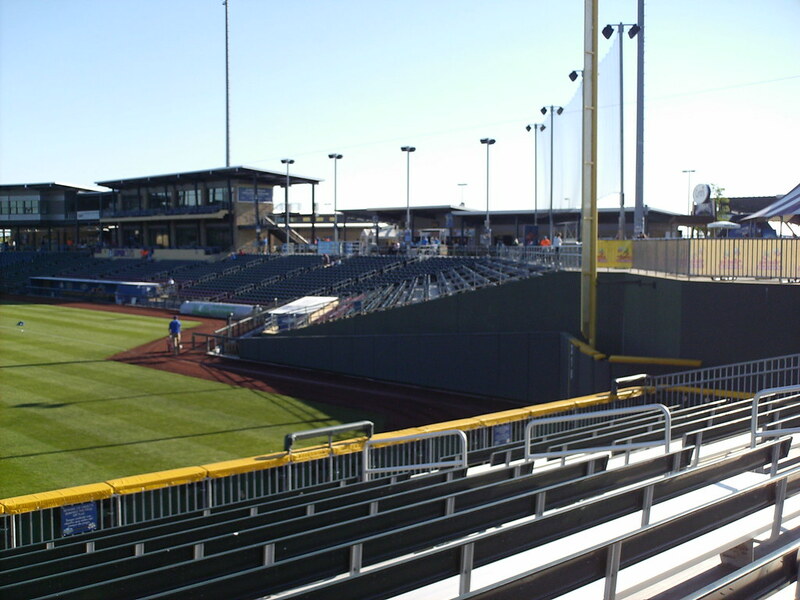 The main seating bowl wraps back around to face home plate, running right up against the foul line in left field. 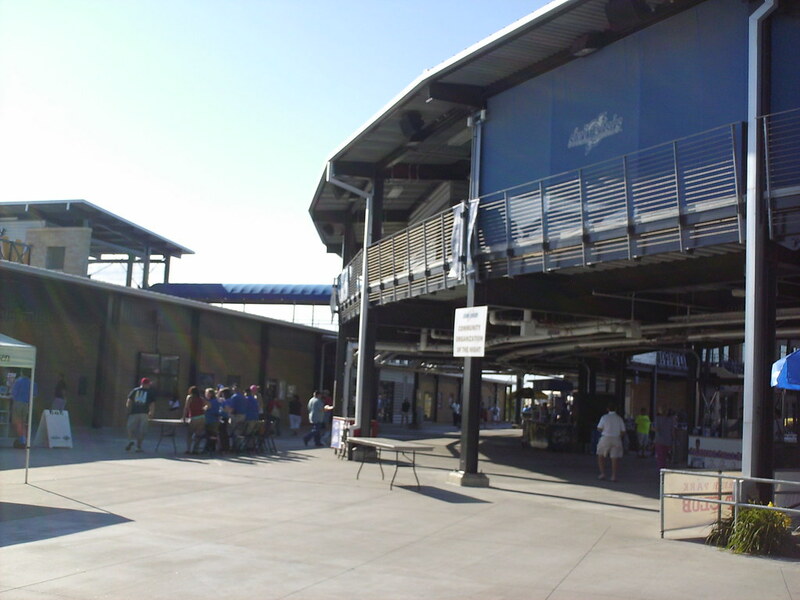 A large children's play area and a building housing the batting cages and clubhouses sit behind the outfield concourse. 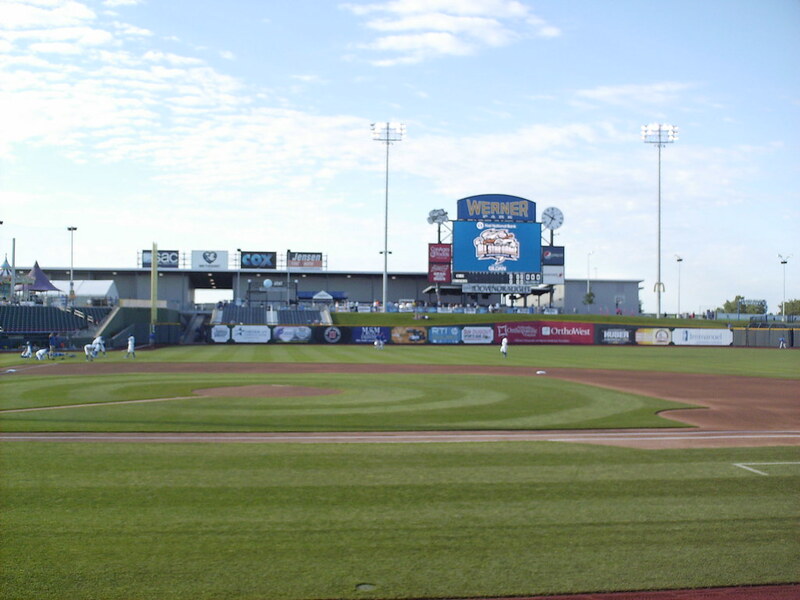 The open main concourse behind home plate at Werner Park. 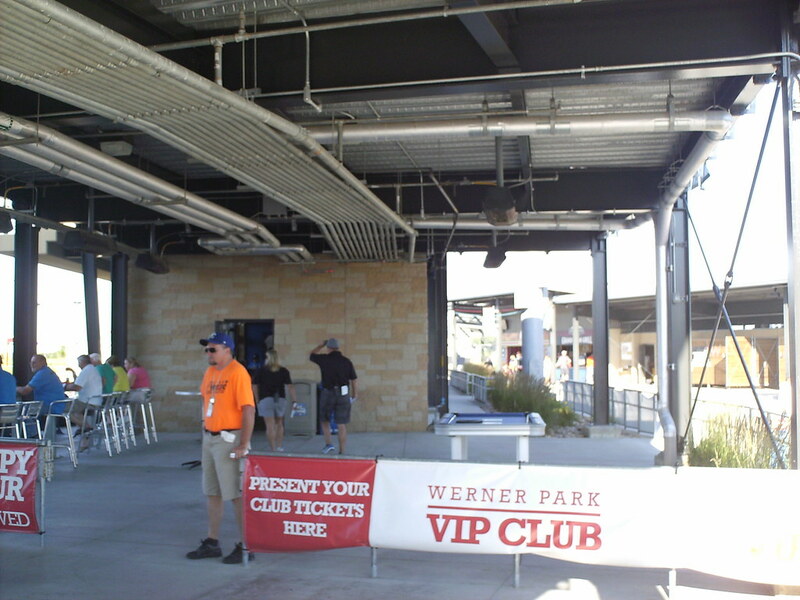 A VIP seating area on the main concourse features tabletop seating and a pool table for guests. 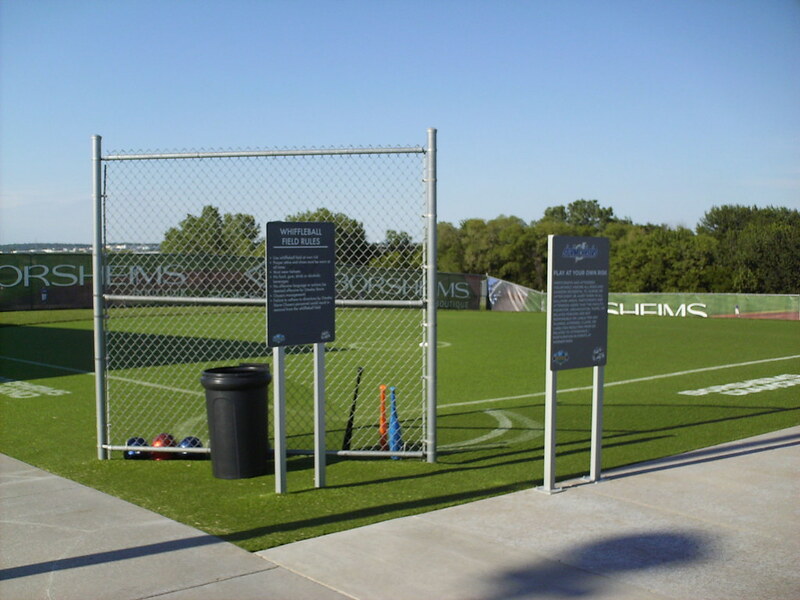 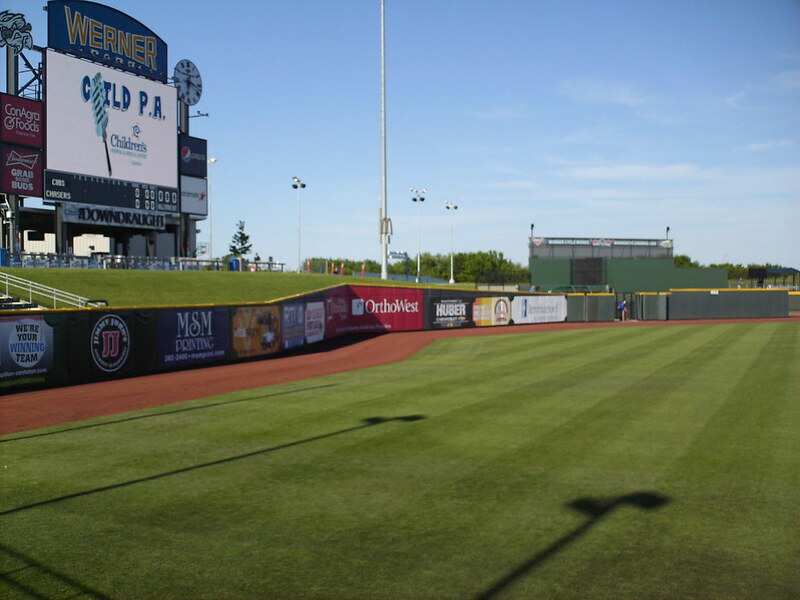 A Wiffle ball field on the outfield concourse features a steep downhill slope in the outfield and sharp angles in the fence. 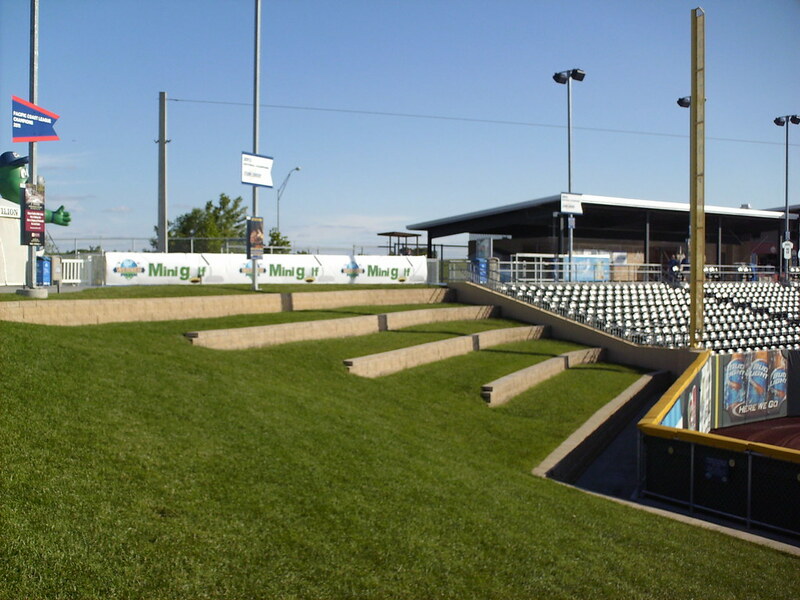 Tiered berm seating in the right field corner of the park. 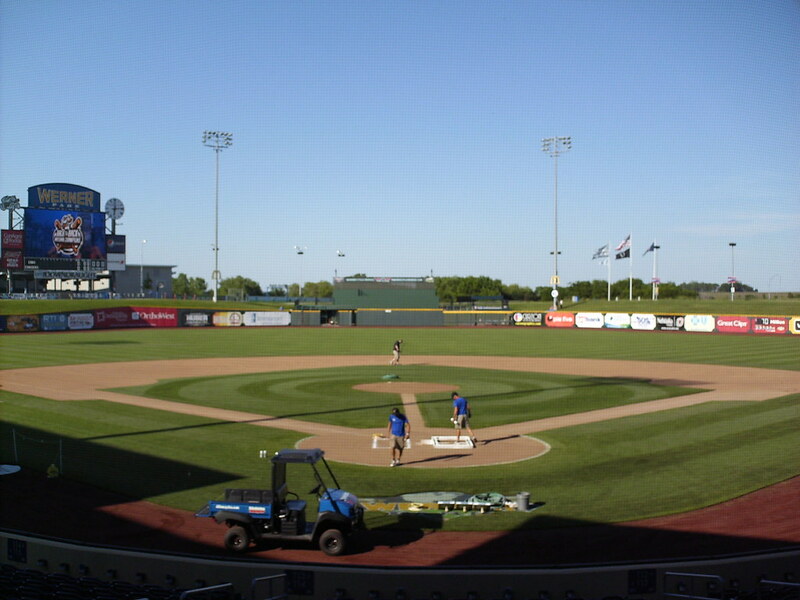 Banners along the outfield concourse celebrate championships won by the Storm Chasers and their former incarnation, the Omaha Royals. 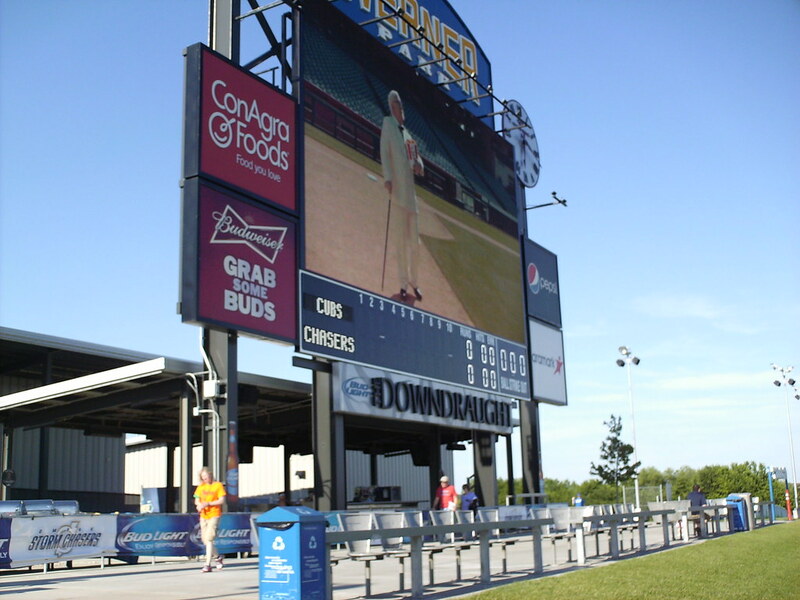 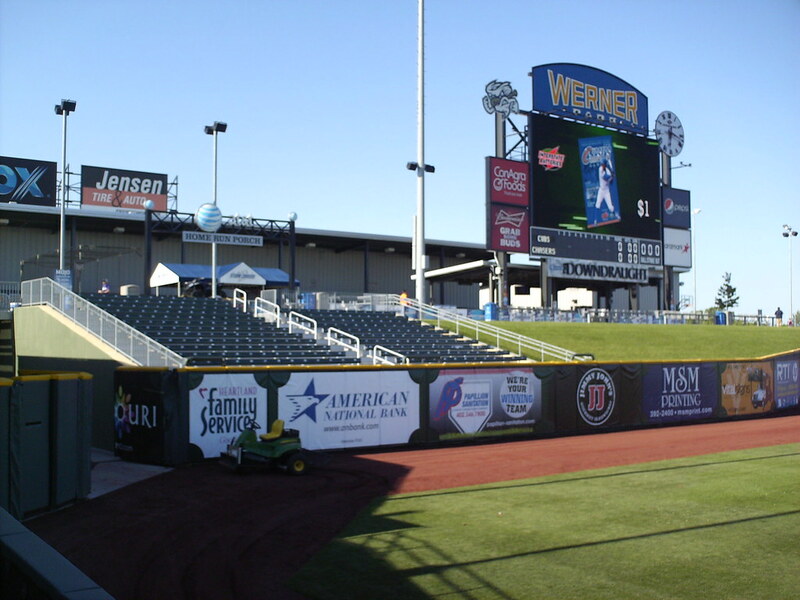 The scoreboard at Werner Park, with a group party area and bar underneath. 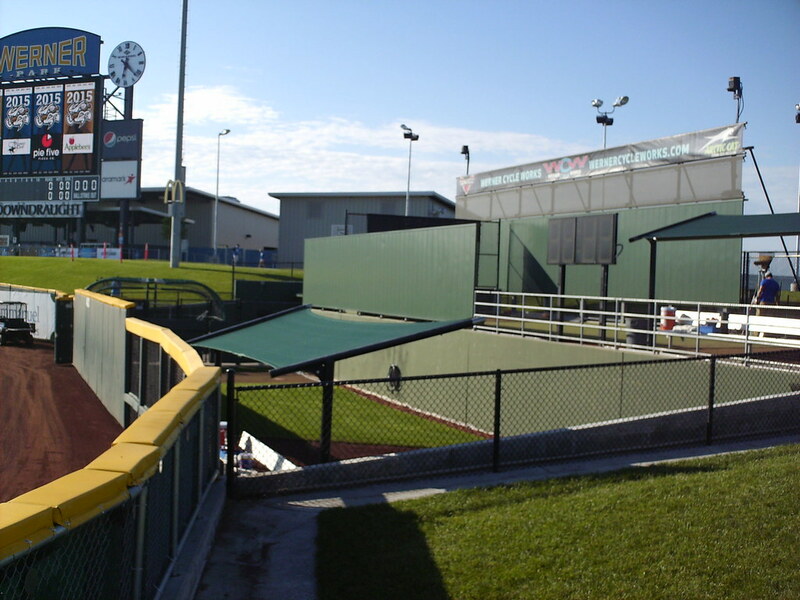 Double-decker bullpens in front of the batter's eye in center field. 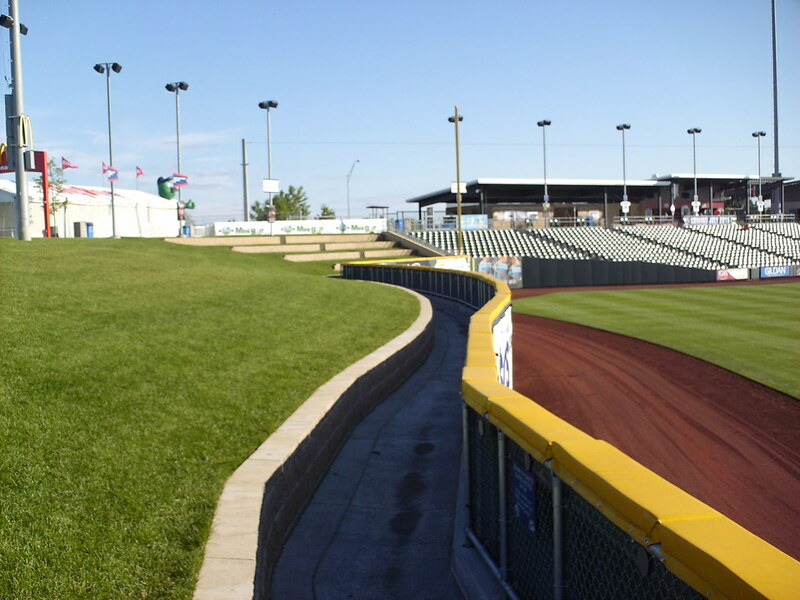 The berm pushes out into the field of play in right field, creating a curve in the outfield wall. 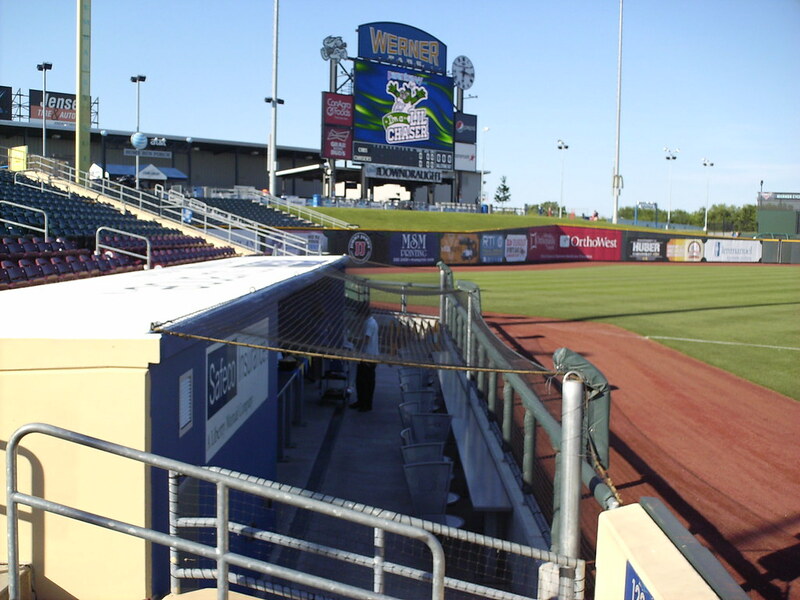 An alcove in the left center field wall features a peak in the outfield fence. 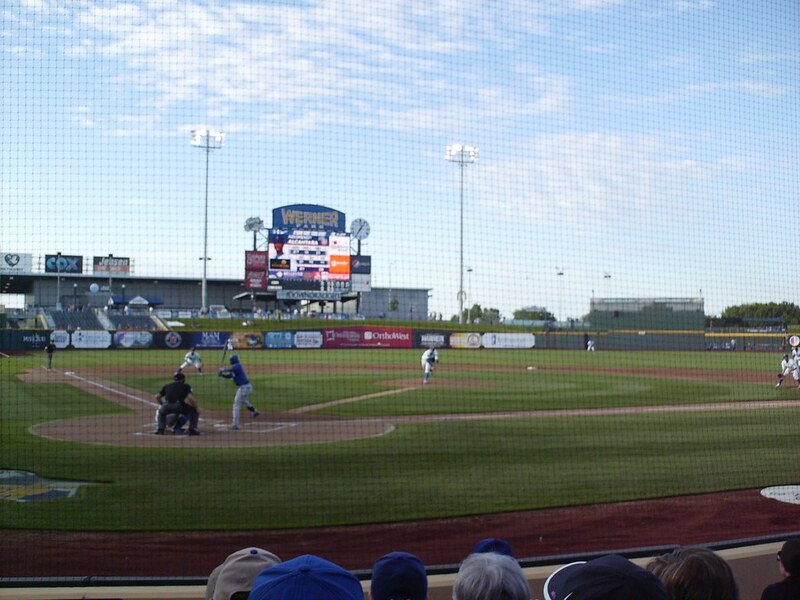 The Omaha Storm Chasers on the field during a game at Werner Park.